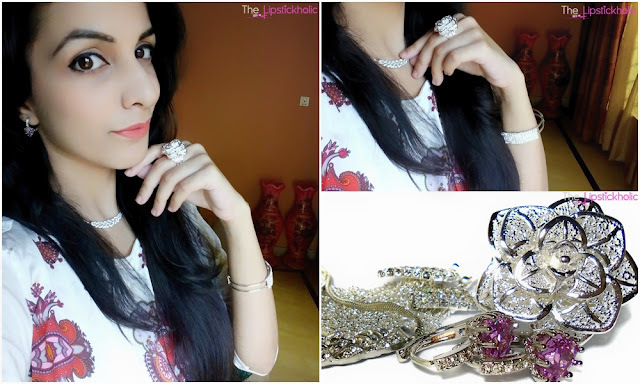 Review: Fancy Jewellery from Born Pretty Store...!!! Hope you all are doing great. Today I am going to share with you my latest jewellery picks from Born Pretty Store. Born Pretty Store is my favorite online store when it comes to jewellery & accessories shopping. 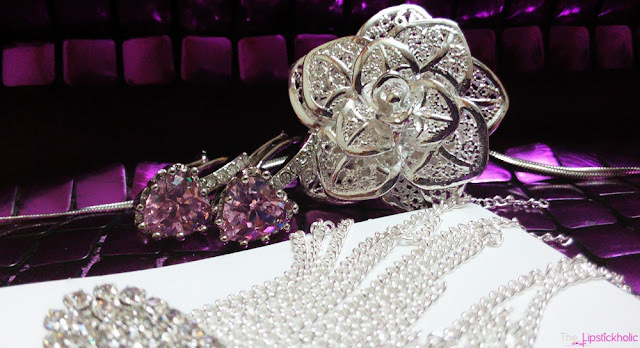 They have a huge and amazing collection of jewellery and accessories including rings, earrings, necklaces, jewellery sets, body jewellery and much more. Let's get to the post to see my latest picks from Born Pretty Store. This elegant rose shaped adjustable ring has to be my favorite among all the things I got from Born Pretty Store this time. I am loving this ring so much and have been flaunting it at different events. If you have been following my instagram, you would have seen me wearing this ring at The Body Shop Mothers Day meet up too. I don't have any issues with the size of the ring as its adjustable. It is so elegant yet trendy and I love it. 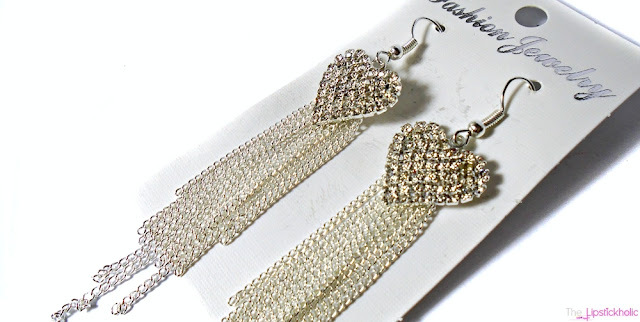 The second thing I got was a pair of these heart-shape long tassels earrings in silver color. These were available in "Silver" and "Gold" but I decided to pick them in Silver color. These are blingy and trendy and are great for wearing occasionally. The third thing I got from BPS Jewellery & Accessories section is this elegant rhinestone necklace, another of my favorites. It was available in "Silver" and "Golden" color but yet again I decided to choose "Silver". This necklace is really elegant. It can be worn with casual as well as formal dresses. 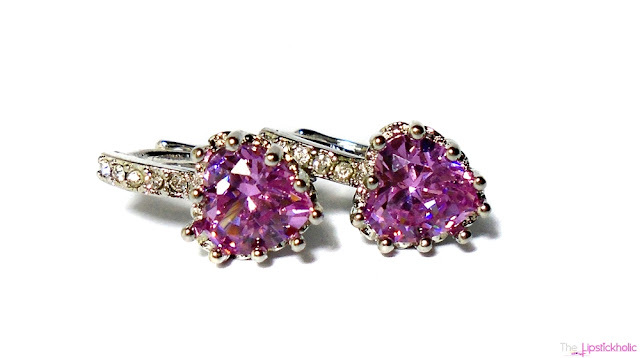 Lastly, I got this gorgeous pair of heart shaped zircon rhinestone earrings in "Pink and Silver" color. These earrings are available in 7 beautiful colors. These are comfortable to wear, look so pretty and I love, love, love these. At the end, here is a picture of me wearing jewellery from Born Pretty Store. Overall, I really like all of these Jewellery pieces. The quality of jewellery is really good for the price. The color of jewellery hasn't changed or faded so far which is a huge plus. 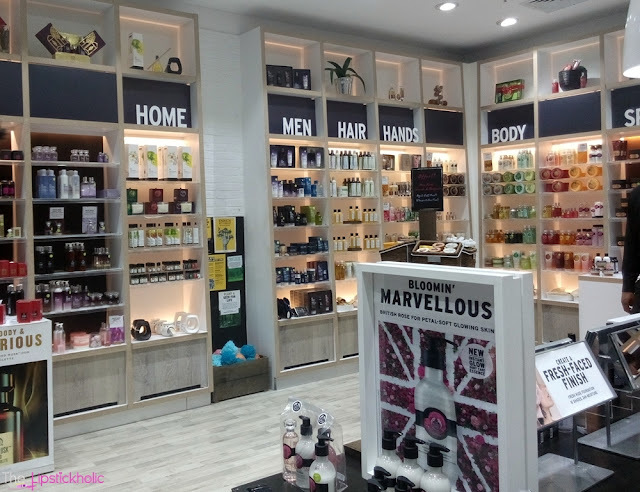 I surely recommend you all to check out Born Pretty Store as they offer a wide range of products and there is something for everyone. Price & Availability: These jewellery pieces are available at Born Pretty Store under their Jewellery and Accessories category. Price of each item is mention in the post. 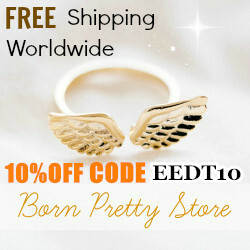 Use code "EEDT10" at checkout to get 10% off your purchase at Born Pretty Store. 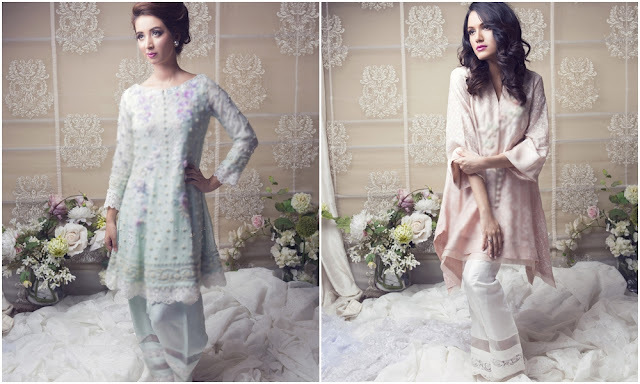 Press Release: Farah Talib Aziz introduces a variety of Eid Collections...!!! Popular design House Farah Talib Aziz introduces a range of Eid creations across her coveted line of luxury Pret and a line of capsule ready to wear digital silk kurtas. The coveted design house luxury Pret and ready to wear collections will be available at the Farah Talib Aziz Karachi Studio and then in Dubai, Lahore and Islamabad through a variety of Eid Exhibitions. 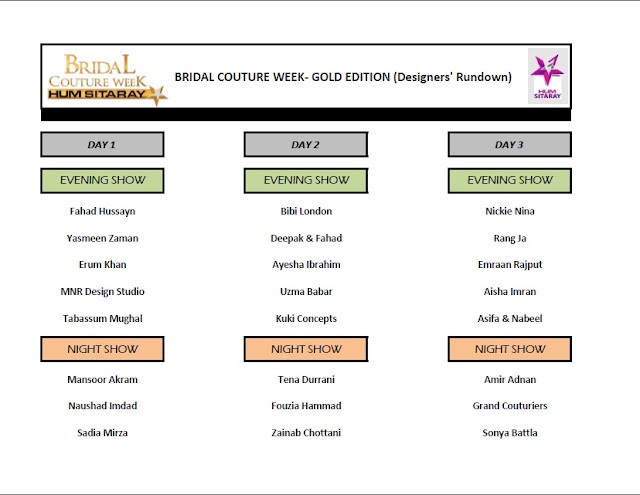 Farah Talib Aziz will be hosting their annual Eid Exhibition on the 28th of May in Karachi at their design studio. Followed by brand exhibiting in Dubai at the Boulevard One. The Lahore exhibit and Islamabad exhibit will take on the 17th and 20th of June at Ensemble Lahore and Ensemble Islamabad. Farah Talib Aziz luxury pret collection titled Eid is based in the design houses signature summer pastel colors and floral prints and have been inspired by the natural floral and fauna documented through the years in the Victorian and Elizabethan drawings and is available in multiple silhouettes, from fun short length kurtas, to off shoulders and edgy sleeves. 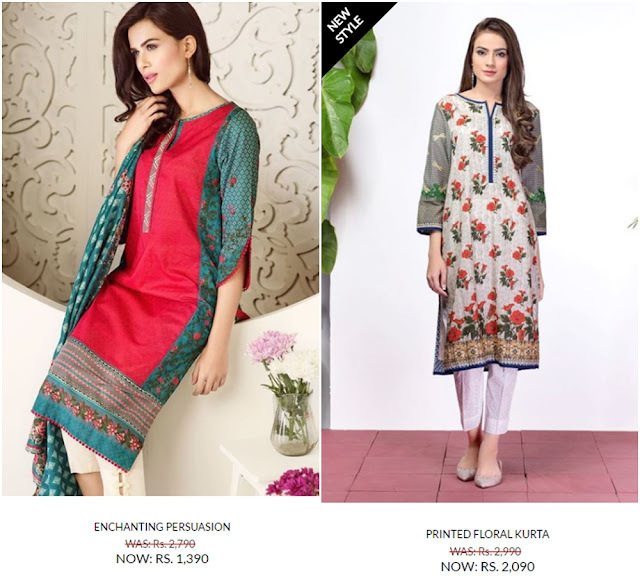 The design house ready to to wear line ranges from PKR 12,000 onwards. For more information log on to www.facebook.com/FarahTalibAziz or follow the brand on Instagram: Farahtalibazizdh. Stunning audiences with intricate detail and a strong sense of beauty, Farah Talib Aziz creates luxe classic pieces that modernize traditions and serve as cherished legacies. Coming from a background in textiles, Farah herself is highly talented and trained in tailoring and embellishments. Regularly updating her skills, Farah has first hand expertise and knowledge about the production methods. Based in Karachi, Farah has been adored by her elected haute couture clients since 2006. With the expansion of her prêt-à-porter collections Farah’s work is now available on an international dimension. In 2015 Farah Talib Aziz ventured into unstitched lawn in collaboration with Lakhany Silk Mills. The collections that come out twice a year are met with over whelming response making FTA a household name. 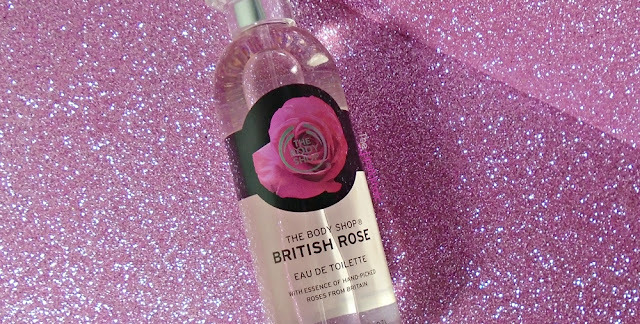 Review: The Body Shop British Rose Eau de Toilette...!!! The Body Shop British Rose Eau de Toilette comes in a 100ml transparent glass bottle with light pink perfume inside. The packaging is absolutely gorgeous. Its sleek and feminine and I love it. About the scent, its neither very strong, nor very light. Its just perfect and subtle enough for everyday use. I love floral, flirty scents and this one can truly be described as a "FLORAL" scent. Once you sniff it, you will feel like you are in a garden full of roses. It is very feminine and not at all musky. The top notes of British Rose in the scent are pretty dominant. However it also has a light touch of sweetness. I can best describe it as a subtle floral sweet fragrance. This scent is ideal for spring and summers. The staying power of this British Rose Eau de Toilette is really good and it lasts all day long easily. Overall, I love, love, love The Body Shop British Rose Eau de Toilette. It is a subtle floral fragrance with hint of sweetness. Its just perfect for those who don't like very strong scents and prefer floral and feminine fragrances. I am glad I picked this one as me and My Mom are loving it. This has surely become my new favorite fragrance from The Body Shop. 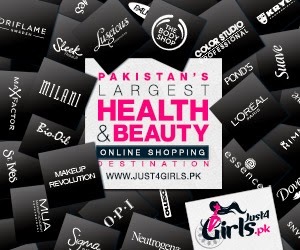 To stay updated with The Body Shop's latest product launches in Pakistan, join The Body Shop Pakistan on Facebook. 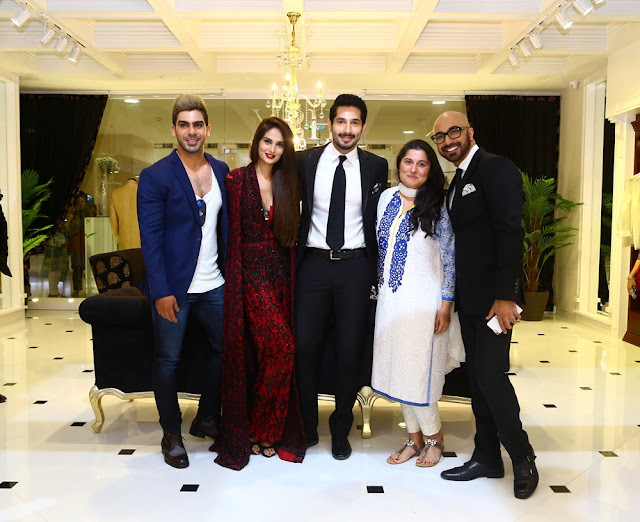 Press Release: HSY takes Karachi by storm with opening of Flagship Retail Store...!!! Pakistan’s biggest fashion force, Hassan Sheheryar Yasin, opened his Karachi flagship retail store at the Dolmen Mall in Clifton. The HSY flagship stocks three distinct lines, the HSY Limited line which retails starting at PKR 7,000 featuring cotton and silk tunics for working women, a ready-to-wear line of light formals starting from PKR 25,000 and luxury-wear priced above PKR 50,000. The store opened with the HSY BeYourself collection which is being sold as separates and the critically acclaimed Kashf collection. Hasan Shehryar Yasin was accompanied by Bilal Ashraf, HSY’s celebrity brand ambassador, Mehreen Syed and Waleed Khalid as the official faces of HSY along with industry stalwarts, fashion designers, models, Film and TV personalities and media personalities alike, including: Anoushey Ashraf, Areeba Habib Ahmad, Asad Tareen, Asad Ul Haq, Beenish Pervez, Bunto Kazmi, Fauzia Aman, Fayezah Ansari, Fia Khan, Gohar Rasheed, Hasnain Lehri, Hassan Rzvi, Hira Tareen, Huma Adnan of FNKASIA, Huma Amir Shah, Humayun Alamgir, Humayun Saeed, Javed Sheikh, Jerjees Seja of ARY, Junaid Murtaza, Shahzain Hafeez and Aale Mowjee of L’Oréal Paris, Kiran Aman, Maheen Khan, Meher Bano Qureshi, Mira Sethi, Mohsin Ali, Nauman Arfeen, Nina Kashif of Urdu One, Nubain Ali, Obaid Sheikh, Saad Ali, Sadaf Malaterre, Safinaz Muneer, Sana Bucha, Saqib Malik, Sarah Najmi Bilgrami of YOCA, Shamaeel Ansari, Shamoon Sultan, Sharmeen Obaid-Chinoy, Shehla Chatoor, Shehrnaz Husain, Sultana Siddiqui of HUM TV, Syed Tipu Yorguc, Tabesh Khoja, Tapu Javeri, Tooba Siddiqui, Umair Tabani, Umar Sayeed, Wardha Saleem, Yousaf Bashir Qureishi, Zahir Rahimtoola and members of the esteemed press. The new store was furnished with interior pieces crafted by the artisans at YOCA. The event was managed by J&S with Public Relations by Lotus. Indeed this flagship follows the opening of the HSY Lahore store at the prestigious Gulberg Galleria and the introduction of the HSY mansion in Karachi for bespoke couture. The brand’s launch in Karachi also follows HSY’s continued expansion plans, with more stores and brand presence in Pakistan and beyond envisioned within the next 5 years. “As we expand our ready to wear lines at HSY across formal, semi-formal and every day wear, Karachi is a natural market for us and we are delighted to be opening at the city’s most popular mall. Indeed the aim of the store is to make the HSY brand more accessible to our customers in Sindh as is the case of the Punjab, where they will be able to buy our new collections immediately after their runway showcase. I have been spending a lot of time in Karachi throughout the last year with the filming on my television show and the opening of the HSY mansion and have found the city’s retail spirit to be thriving. Also, as our brand becomes more aligned with the stars of film and television as a natural course, Karachi as the hub of media makes a lot of sense to us. Karachi, get ready for HSY!”, said Hassan Sheheryar Yasin. The loot is on the Ethnic collections were you can find all the eastern wear. 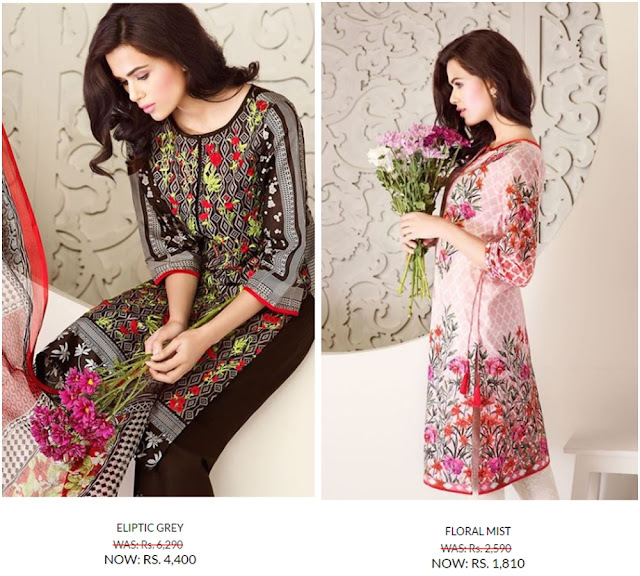 The range starts from 880 PKR to 5000 PKR on almost any eastern you name, lawn suits, kurtis, shirt pieces and almost anything. The ethnic loot is going on since 5th May and will last up till 25th May. 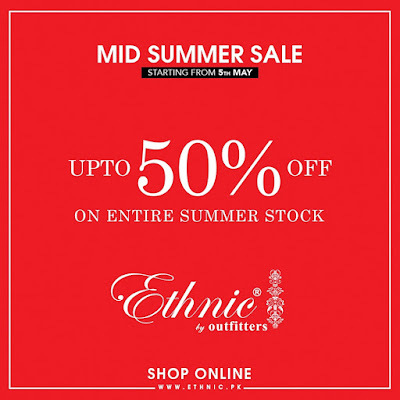 The stocks are running out like hot cakes because of the fine quality and deliverance of the ethnic brand. Each year Mothers Day is celebrated around the globe to appreciate mothers for their unconditional love and contribution to the families. This year, on Sunday 8th May, Mothers Day was celebrated in many countries including Pakistan. Like every year, I also planned and bought some surprise gifts for my Mother already. 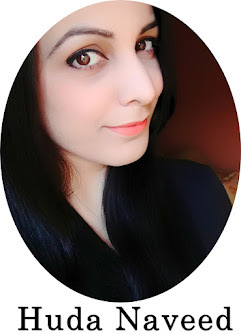 But The Body Shop Pakistan made this Mothers Day even more special for us by offering us bloggers vouchers of worth Rs 10,000 for buying gifts for our Moms and ourselves from The Body Shop outlet in our city. To celebrate Mothers Day with The Body Shop and fellow bloggers, Me and my Mom went to The Body Shop outlet in Centaurus, Islamabad. Najaf Naad E Ali, Aiesha and Mahnoor of Constantine PR, who were handling the event, guided the bloggers well throughout the activity. Me and my Mom enjoyed browsing through the wide range of products and then finally selected few of items that were on our wish-list from The Body Shop. 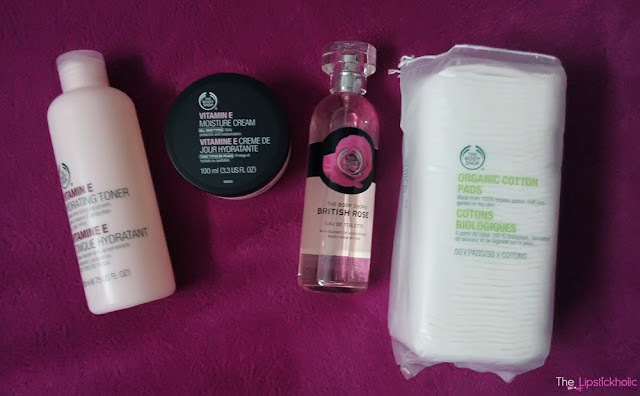 Here are our Mothers Day picks from The Body Shop. My Mom is loving Vitamin E picks from The Body Shop and I am so in love with the British Rose Eau De Toilette. A huge thanks to The Body Shop Pakistan and team Constantine PR for arranging this special Mothers Day surprise for us. Me and my Mom really enjoyed being there and being a part of this activity. It was a pleasure meeting management of Constantine PR (Najaf, Aiesha and Mahnoor) and fellow bloggers especially my same-name buddy Huda Sheikh of Sparkling Palette Blog. The Body Shop Pakistan and Constatine PR surely made this Mothers Day extra special and memorable for us. Review: Studio Line Mousse Shimmers from Reasonablez.com...!!! Studio Line Mousse Shimmers come in a black cardboard outer box with small pots of mousse shimmers inside. These are basically mousse eye shimmers to be used on eyes. 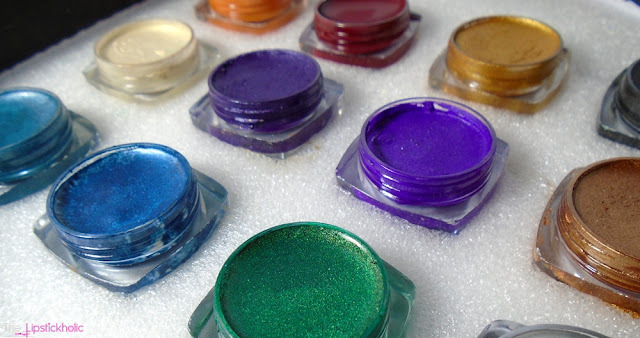 However these are versatile and can be used on eyes, lips, face or body. 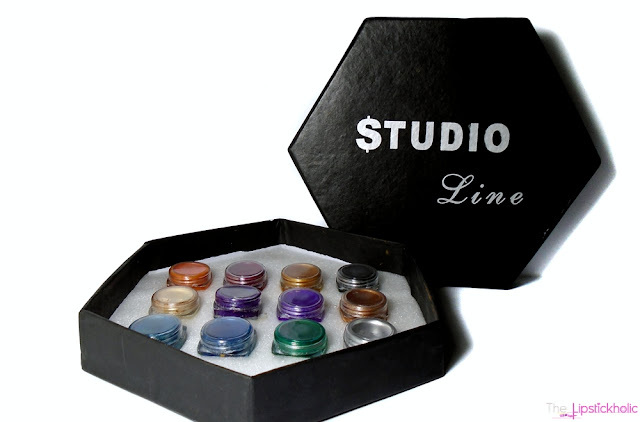 Studio Line Mousse Shimmers box contains 12 pots of mousse shimmers in different shades. I was expecting them all to be shimmery but was surprised to see 4 matte shades in the box. There are 6 shimmery, 2 metallic, 1 complete matte and 3 matte with shimmer shades in the box. The shades included in the box are really gorgeous and create perfect combination for different looks.The pigmentation of all the shades is ah-mazing. I am really amazed to see how pigmented they are. The texture of these mousse shimmers is really creamy and easy to work with. You can easily apply it with fingers or brush on your eyes. 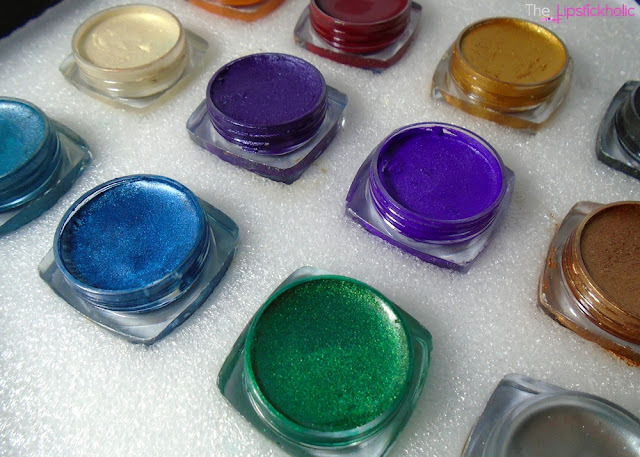 These shimmers don't create any mess/fallout like other glitters or shimmers and thus are great for beginners. All the shades have nice satin like finish which looks gorgeous. I love how easy these are to use. The staying power of these shimmers is pretty nice too. These stay on my eyes almost all day long. Many shades are a bit hard to remove at the end of the day. However these transfer easily and tend to crease a bit like all mousse eye products if used without a good base or primer. Therefore, I recommend you to use these over powder shadows or with a good primer to avoid creasing. I am glad that these mousse shimmers didn't irritate my sensitive eyes which is a plus for me. At the end, here is a quick 5 minutes eye makeup look I created using these mousse shimmers. I didn't use any brushes for this look and applied shimmers with my fingers to create this quick look. Overall, I think these Studio Line Mousse Shimmers are really good for the price. 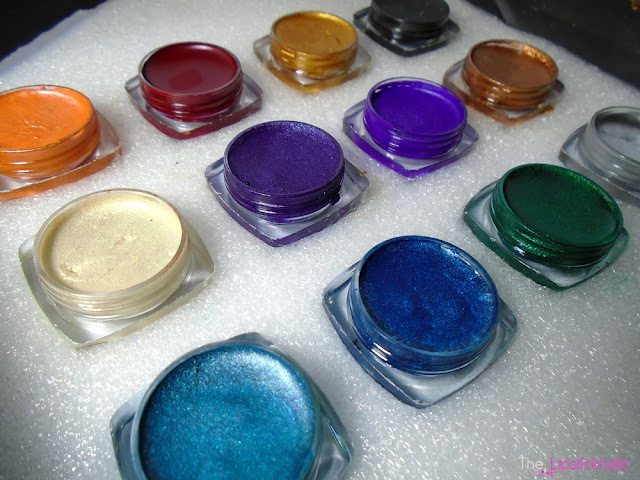 They are great for beginners to who want to add glam to their looks without the hassle of using glitters and loose shimmers. 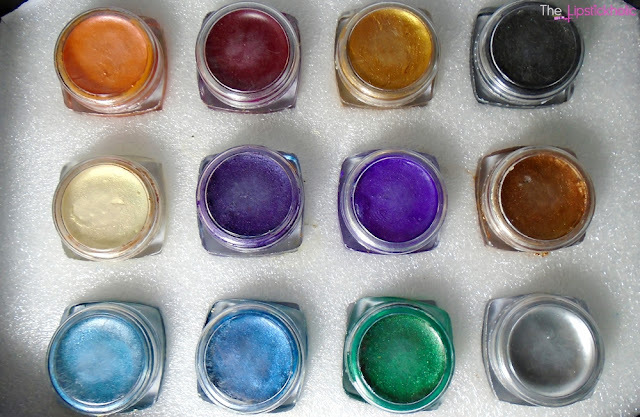 These are super-pigmented, really easy to use and versatile. These do tend to crease a bit and those with oily lids might experience average staying power and more creasing with these. However you can deal with these cons by using a good base and primer beneath. For the price, these shimmers are really good and I surely recommend you to try these. Price & Availability: Studio Line Mousse Shimmer Pack is available online at Facebook page Reasonablez.com for Rs 850/- only. Let's start with my experience with Keune Care Line Shampoo and Conditioner. Keune Care Line Satin Oil shampoo is a gentle shampoo that leathers well and cleans the hair efficiently. The shampoo is gentle and is thus great for everyday use. It has a strong chemical like smell though which was annoying for me. The shampoo alone doesn't leave hair feeling very soft and manageable. I feel the need to use conditioner afterwards for better results. The combination of shampoo and conditioner works well overall. However its not the best shampoo for my hair type or for those with oily scalp or very fine hair. The conditioner on the other hand provides good results. Split ends prevent our hair from growing further and make the hair look dull. The Hair Beauty Split Ends Serum by Keune is a nice product for those who have to deal with split ends often. This serum comes in form of capsules and you need to cut or twist the tip of capsule to use it. I wasn't really having any noticeable split ends while testing this product and I got only 4 capsules to try. Therefore, I can not really tell how efficiently it would deal with split ends. However once you apply this serum on tips of your hair, it does leave your hair feeling well nourished and doesn't feel greasy which is a huge plus. Since I have very fine and slightly frizzy hair, I was really excited to try this product and I must say it has not disappointed me. 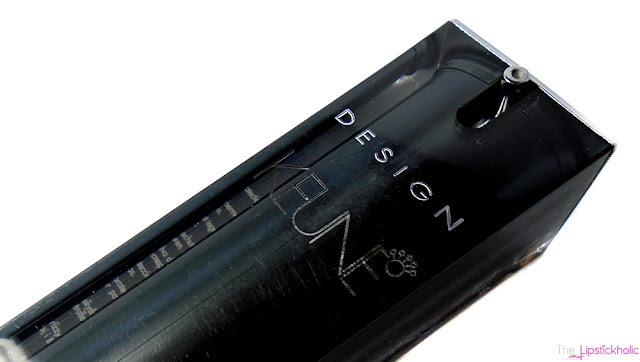 Keune Defrizz Serum comes in an attractive black acrylic bottle. This is a nice heat protecting serum that protects hair from damage while using heat tools for styling. It also keeps the hair straight, shinny and frizz free. I love how it smells and leaves the hair smelling nice. Use a small amount of this serum on damp hair and then dry and style your hair like always. It results in smooth, straight and shiny hair. It doesn't weigh the hair down. I also like to use this before straightening my hair and it works well as a heat protecting serum too. Overall, this product is a winner for me. All in all, I had a nice experience with these Keune hair care products. While the care line shampoo and conditioner didn't impress me much, the serums really worked well for my hair and I am loving them. I definitely recommend you to try the range of hair care products by Keune. They have different products for all hair types and there is something for everyone. Price & Availability: Keune Hair Care products are available at all leading stores nationwide. Also available online at Saloni.pk. The price range of these products is between Rs 500-1500. For more information on the brand and its latest launches in Pakistan, join Keune Pakistan on Facebook.